Eyes on Africa was selected Most Knowledgeable REGIONAL EXPERT for Southern Africa / Safaris by National Geographic Traveler Magazine, 20th Anniversary Special Issue. Are You Ready for a Wildlife African Safari Vacation or a Holiday in Africa? See Africa on Safari! For the ultimate African safari tours, our customized African safaris bring you the wonders of Africa up-close and personal. 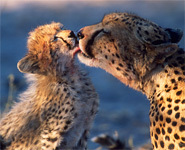 www.eyesonafrica.net specializes in planning and booking your custom and personalized African Safari tours to Africa. 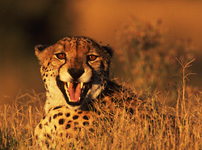 Our African safaris offer adventure travel to Africa. As African Safari experts, we arrange African safaris to the finest destinations in South Africa, Botswana, Kenya, Tanzania, Zimbabwe, Namibia, Zambia, Malawi, and Seychelles Islands. An African safari evokes mystery, wonder and above all else, adventure! Our unique and memorable safaris to Africa offer views of towering dunes, dramatic mountain ranges, pristine beaches, and vast tracts of open plains. 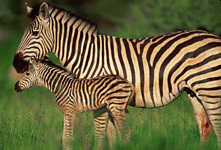 Go on African safaris and see the amazing wildlife and beautiful scenery on safari. An African safari is the ultimate destination for honeymooners, wildlife enthusiasts, photographers, there is something for everyone. Let us make your African safari an experience you will never forget! Eyes on Africa are in the process of rebranding and expanding our horizons! in addition to Africa, we now offer adventure travel to destinations across the globe including India, Madagascar, Costa Rica, the Pantanal and more to follow. Contact us now to plan your next great adventure!! DON'T MISS THESE SAFARIS AND UPDATES! • See our Digital Photo Safaris / Photography Workshops. • Budget Safaris: Look at our Affordably-Priced Safaris. • Videos: Watch some of the videos our team have created - camps and wildlife! Eyes on Africa Videos. • Check out our Great Migration routing map for Kenya & Tanzania. • Going to Botswana? Check out the latest Okavango Delta flood update. • Most popular Safari: Gorilla Trekking in Rwanda. • Photography tips for your safari. • The perfect duffel bag for a safari is here. • Our recommendations for travel insurance. Take a virtual African safari through our comprehensive website. There are over 6,000 photos on our website and 5,400 pages packed with Africa maps and information on African safari camps, African safari lodges, National Parks and Game Reserves throughout Africa. Like so many who return to vacation in Africa, your first holiday Safari in Africa will not be your last! An Africa safari always brings new adventures. We Love Africa and we Love going on a wildlife safari! 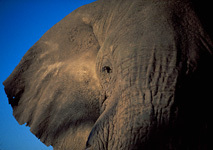 We live and breathe Africa and African safaris every day! You won't find another African Safari travel company with our knowledge and our passion for vacation to Africa, its wildlife and its safari destinations. When you're ready to chat about an African safari, a holiday in Africa, or if you just have questions, please feel free to contact us. WHO ARE EYES ON AFRICA? Why African Safari with Eyes on Africa?